This compact device is the ideal external light source for fluorescence excitation in microscopy. Coupling is preferably achieved via liquid light guides. The average service life of a lamp is 2,000 hours. The optimised internal air flow cools the lamp and enables quiet operation. A resettable operating hour meter shows lamp operating hours. The brightness of the lamp output can be varied in 5 steps (0-100%) by means of a mechanical dimmer unit. An ultra-fast shutter opens or closes after activation with approx. 6 ms. The shutter is actuated by means of an appliance switch, but is also possible externally by means of a remote control input or CAN-BUS connection. This compact light source is available as a VIS or UV version in addition to a version that permits the coupling of multi-pin liquid light guides. 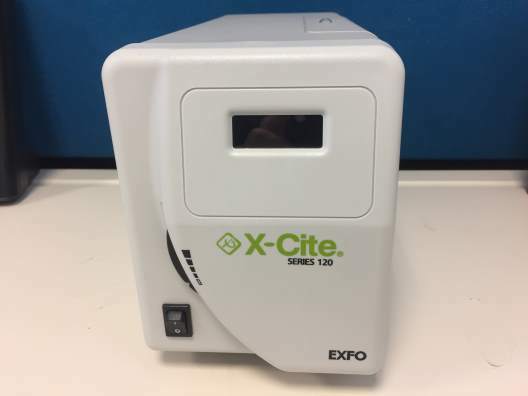 The new X-Cite 110LED from Excelitas Technologies is a compact, white light LED light source for fluorescence imaging applications. 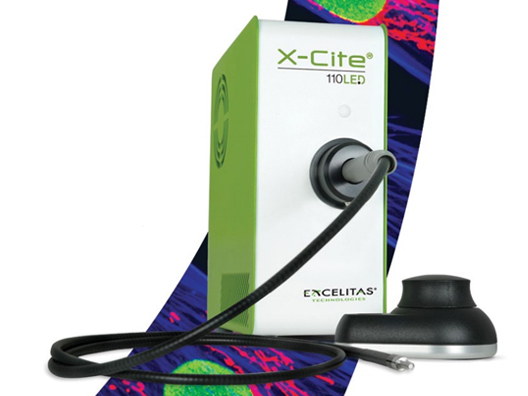 Providing excitation for DAPI, GFP, mCherry and Cy5 routine imaging, the X-Cite 110LED offers exceptional field uniformity through liquid light guide delivery. With manual, PC and TTL control, the X-Cite 110LED has LEDs guaranteed for 25,000 hours with no lamps or modules to replace. X-Cite 110LED is the newest addition to the X-Cite family which is known for high quality, reliability and exceptional delivery. Also ask us about replacement Accessories such as Light Guides and Lamps! The X-Cite 120LEDBoost is more powerful than ever and efficiently excites a greater range of fluorophores than the original X-Cite 120LED, with no compromise. Even the popular red fluorophores are no challenge for the X-Cite 120LEDBoost. The X-Cite 120LEDBoost offers superior optical power and exceptional field uniformity at the specimen level with the broadest spectrum of fluorescence illumination through manual, PC and TTL control. With LEDs guaranteed for 25,000 hours and no lamps or modules to replace, X-Cite 120LEDBoost offers sheer simplicity and convenience to researchers allowing them to focus on their experiments instead of equipment maintenance. Also ask us about replacement Accessories! The winning combination of output power and pricing makes X-Cite mini+ the ideal choice for routine imaging applications and HBO upgrade opportunities. 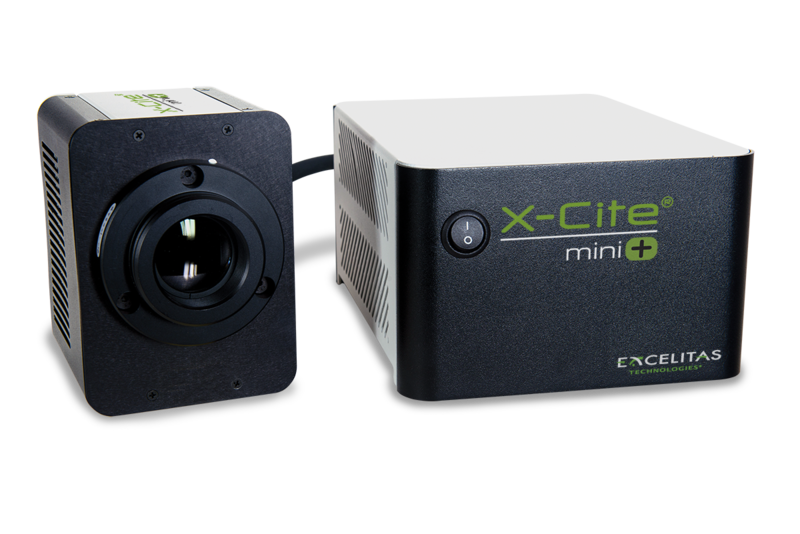 X-Cite mini+ couples directly to the microscope, and while its output power surpasses even the X-Cite 120LEDBoost, it has a compact, air-cooled form factor of the X-Cite 120LEDmini. 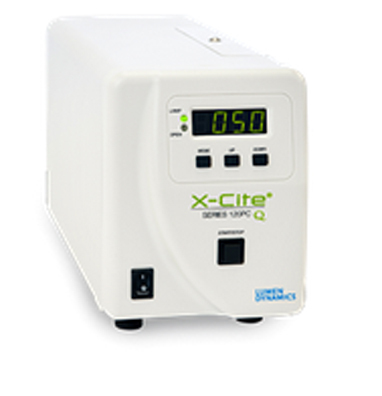 The X-Cite XLED1 is a high-power LED light source designed to optimize fluorophore excitation with unmatched LED switching speeds. Its unique plug-and-play modularity allows the system to evolve alongside changing research applications, with easily interchangeable LED modules. 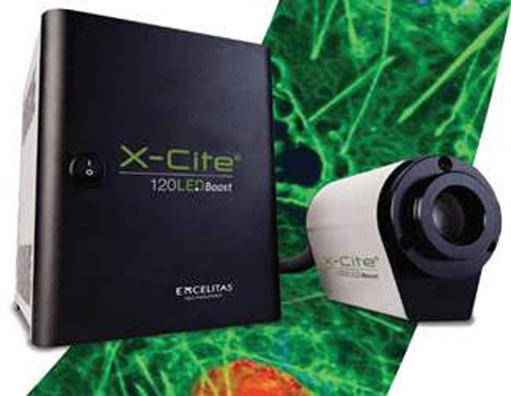 With unprecedented wavelength switching speeds to capture fast cell dynamics and advanced triggering options including X-Cite Live Cell Mode to extend live-cell imaging experiments, the X-Cite XLED1 represents the industry's next generation of fluorescence LED illumination. Use up to four high power LED modules with fine excitation control while balancing illumination intensity between channels and protecting specimens against photodamage. X-Cite microscope adaptors lead the industry in field uniformity without the need for alignment, while saving time on maintenance and ensuring peace-of-mind in experimental results. Each LED module and associated optical components can be quickly swapped in the field for another wavelength depending on the needs of your application. Each LED module is designed to integrate and easily interchange individual excitation filters, allowing accelerated wavelength switching beyond the scope of motorized filter wheels. Triggering sequences can be combined with a high degree of control over individual LED intensity to excite and image multiple fluorophores when examining very fast moving specimens or for live-cell ratio imaging. Researchers can extend the time frame of their live-cell imaging experiments by reducing the degree of free radical formation caused by the continuous illumination of fluorescent proteins. 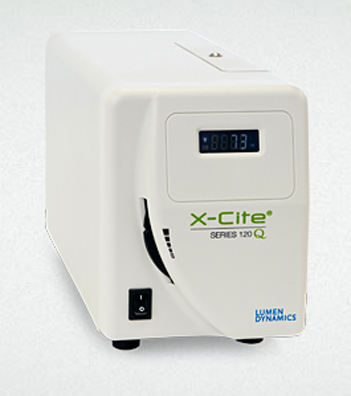 Descriptions: X-Cite XYLIS is a true arc lamp replacement for routine and advanced fluorescence imaging applications. It has the broadest spectrum available in a white light LED for fluorescence microscopy and rivals traditional arc lamps for brightness – making it ideal for both compound and stereomicroscopes. Incorporating our patented and award-winning LaserLED Hybrid Drive® technology to overcome the LED green gap, X-Cite XYLIS makes it possible to enjoy the benefits of LEDs without compromising on price, flexibility, or performance. The X-Cite® XYLIS LED light source provides intense output and a broad spectrum which rivals arc lamps. Finally, researchers are able to enjoy the benefits of LED technology without compromising on price, flexibility, or performance. No more hesitation, no more excuses. The Lumen 200 Fluorescence Illumination System is a powerful, cost effective alternative to standard 100 Watt mercury and halogen lamphouses. The combination of Prior's proprietary 2,000 hour life, 200 watt metal arc lamp and two or three meter liquid light guide provide unrivalled versatility and illumination power. The Lumen 200 utilizes a metal halide lamp rather than the more traditional high pressure mercury or xenon burners. This means 2000 hours of stable output compared to a maximum of 300 hours for a mercury lamp. 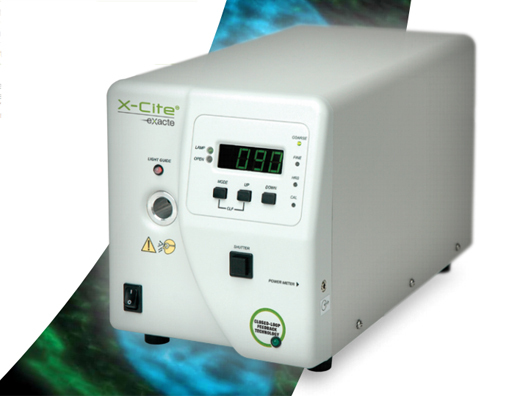 The X-Cite exacte ultra-stable fluorescence light source employs a DC-powered mercury lamp coupled with proprietary Closed-Loop Feedback technology to provide unmatched short and long-term intensity stability, for imaging protocols lasting from milliseconds to days. 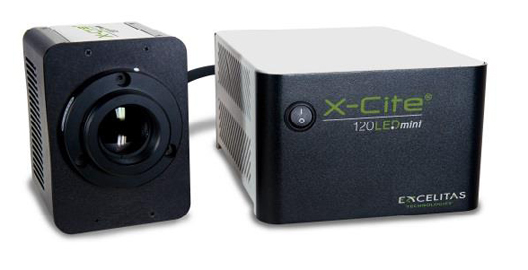 With the X-Cite Optical Power Measurement System, light output can also be calibrated in absolute power units (watts), ensuring truly repeatable fluorescence illumination for imaging experiments. 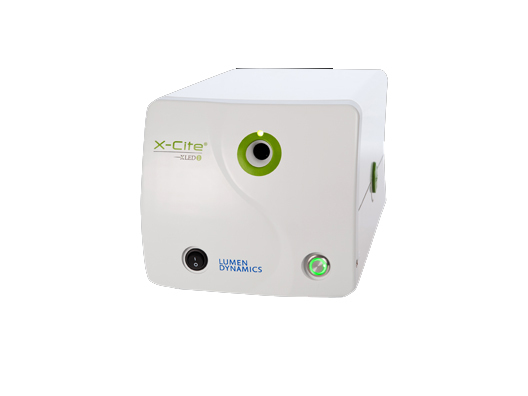 The X-Cite exacte microscope light source has the convenience of pre-aligned, long-life lamps and easy installation combined with innovative functions in the newest generation of mercury arc fluorescence illumination systems. Drivers: Base commands same as X-Cite 120PC; Build onto existing driver scripts to control X-Cite exacte.